Need a Last Minute Valentine’s Day Dessert? It is somewhat of a young tradition that I make Sean dessert for Valentine’s Day. I knew last year’s homemade mint chocolate chip ice cream cake would be a hard act to follow. I racked my brain and searched the Internet for no-bake recipes, as our one room apartment did not come equipped with an oven, but couldn’t find the perfect recipe. Then I remembered making bananas foster at the Chopping Block in Chicago last year. It was one of the best dessert’s either of us has had and could not be easier to make. To say the least, it was a huge hit and the total prep and cooking time was not more than 10 minutes. 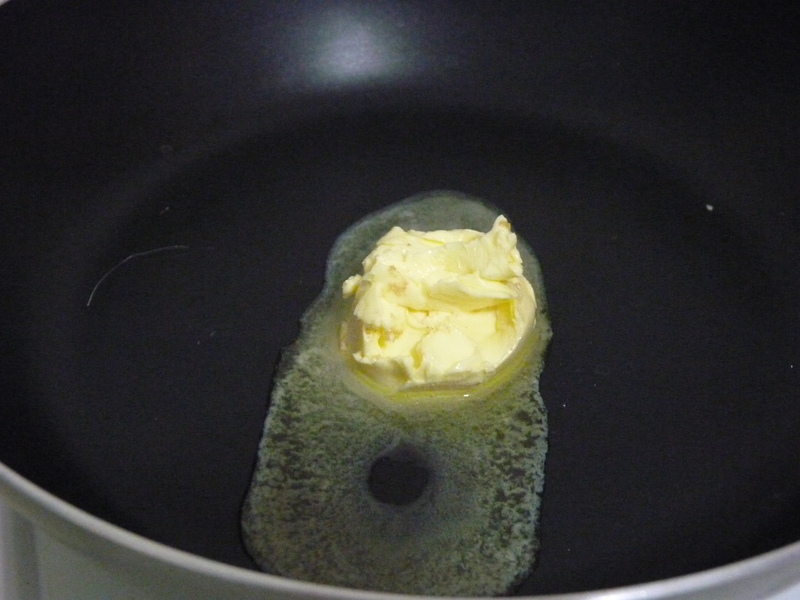 Start off by melting 1/4 cup butter in a pan over medium heat. 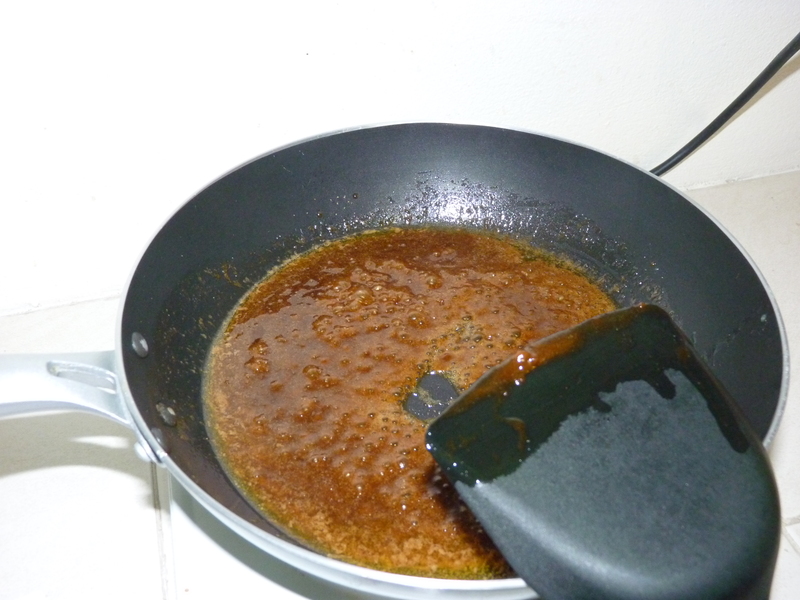 Once completely melted, add 2/3 cup of brown sugar, 1 tsp. 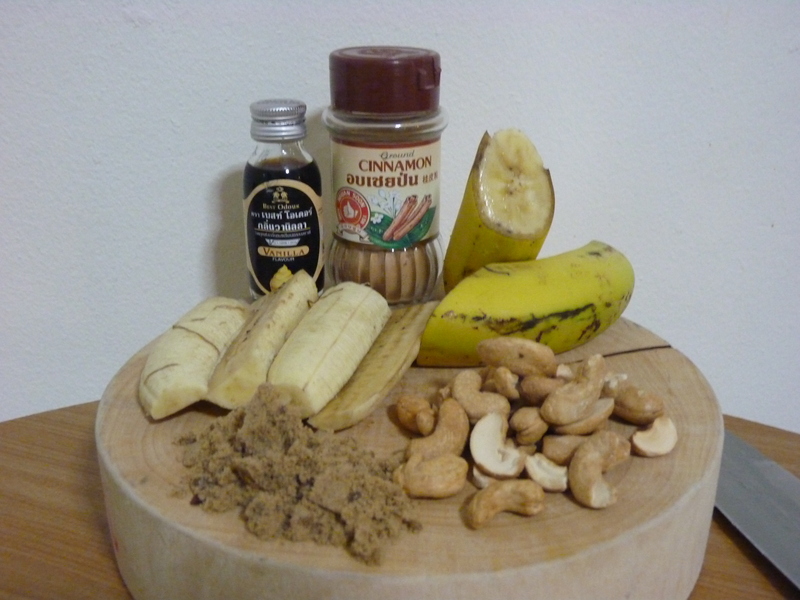 cinnamon, 2 tsp. vanilla extract and 3 tbs. rum (I substituted with Whiskey because drinkable rum is hard to find in Thailand). Stir until mixture is bubbling. The sauce should be a dark, rich brown color, almost like chocolate (picture below). At this point, taste the sauce and add ingredients according to personal taste, like another splash of rum for good luck! 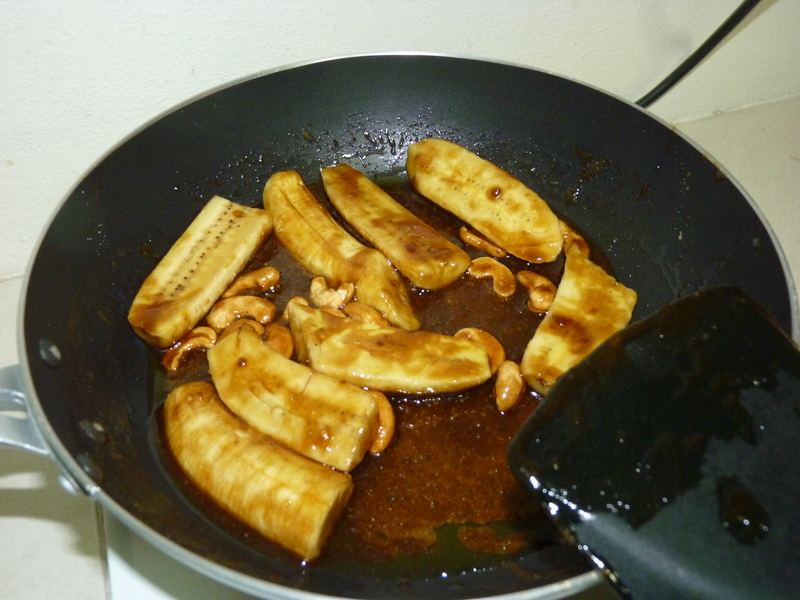 Add 3 quartered bananas and 1/4 cup chopped walnuts (I substituted cashews; again, Thailand doesn’t have walnuts). Stir the mixture for a minute or two, just until the bananas and nuts are coated with the sauce and the bananas are still firm. Serve a spoonful into a bowl and top with a scoop of vanilla ice cream. Pair this dish with a great bottle of red wine and I promise, your special someone will be very satisfied this Valentine’s Day. Unfortunately, I didn’t get a great picture of the final outcome. I had a little issue with using half melted ice cream. 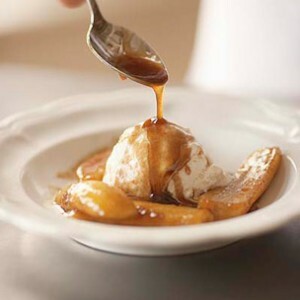 Here is a picture of what bananas foster should look like. But I will tell you that even if the presentation isn’t spot on, you will still produce a deliciously mouthwatering dessert.